The 2017 American Aberdeen Show rounded out the first weekend of the American Royal. Dr. Dave Nichols spent the morning evaluating a phenomenal set of cattle during the junior heifer show. 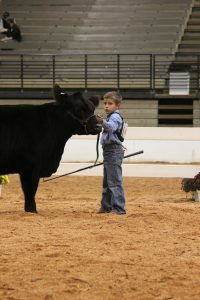 Nichols selected Dalton Bane of Illinois as Supreme Champion Junior Exhibit. Jim Bloomberg of Illinois judged the open American Aberdeen Show. 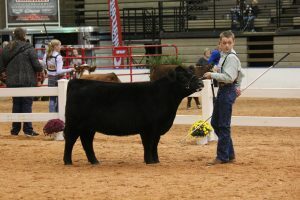 Dalton Bane took home the honor of Grand Champion Fullblood Female and Tummons Cattle Company received Reserve Grand Champion. 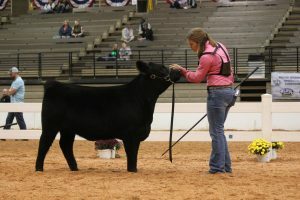 For the percentage female show, Grand Champion Female went to Tummons Cattle Company and Heaven Sent Ranch earned the Reserve Champion Female title. 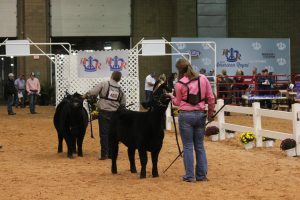 In the bull show, Tummons Cattle Company exhibited the Grand Champion Purebred/Percentage Moderator Bull and Reserve Champion went to Dawson Schroder. The title of Grand Champion Fullblood Bull went home with Canterbury Hybrid Genetics and 4D Grain and Livestock and the Reserve Champion title went to Cassie Wells. 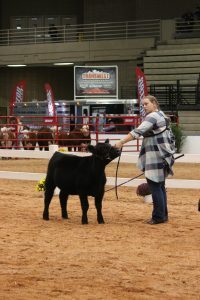 The Champion Prospect Steer was exhibited by Jaysie Schoenfield. Concluding the show, Dalton Bane of Illinois earned the honor of Supreme American Aberdeen Exhibit. Congratulations to all the exhibitors!